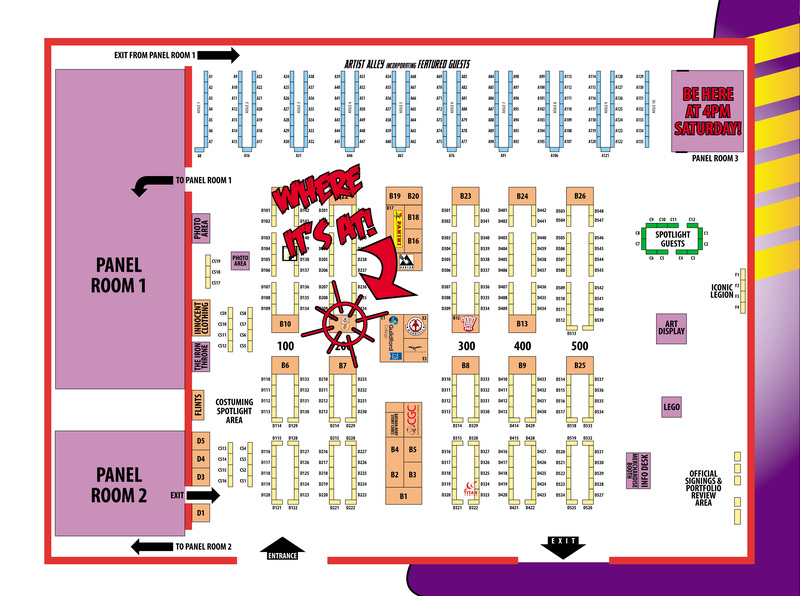 Here’s where to find Orang Utan Comics at London Super Comic Con on the 20th and 21st of February! We’re at Booth B11, but we know from previous years that a booth smack bang in the middle of the show floor is surprisingly hard to find, so here’s a plan of the venue on which the location of our booth has been subtly highlighted. You’ll also be able to find Ian Sharman and Holly Rose at the Ray Gunn & Starburst panel at 4pm in Panel Room 3 on Saturday 20th February. Nic Papaconstantinou (of the We Have Issues podcast) interviews the cast and crew of sci-fi/comedy audio series The Adventures of Ray Gunn & Starburst. Writer/director Holly Rose will be answering questions alongside the show’s stars, Dominic Westerland, Georgia Humphrey, Ian Sharman and Alyson Leeds. Find out how they successfully Kickstarted the series which recently received a glowing 9/10 review from Starburst magazine. You can find the Facebook event page for the panel here. We’ll be selling copies of Ray Gunn & Starburst on CD, which includes the exclusive to CD outtake reel, at the booth and you can also listen before you buy. As usual Hypergirl and Spacescape artist, David Wynne, will be sketching all weekend and we’ll have the usual assortment of awesome graphic novels on sale, including the new editions of both Hero: 9 to 5 books and paperback editions of Alpha Gods: Betrayal and The Intergalactic Adventures of Zakk Ridley. Come along, say hello, give us drinks and buy our stuff! Orang Utan Comics at Thought Bubble! You can find Orang Utan Comics at tables 176 & 193 in New Dock Hall at Thought Bubble on the 14th & 15th of November. Yes, we have a whole lovely corner to call our home for the weekend! You can find out who else is in New Dock Hall here. 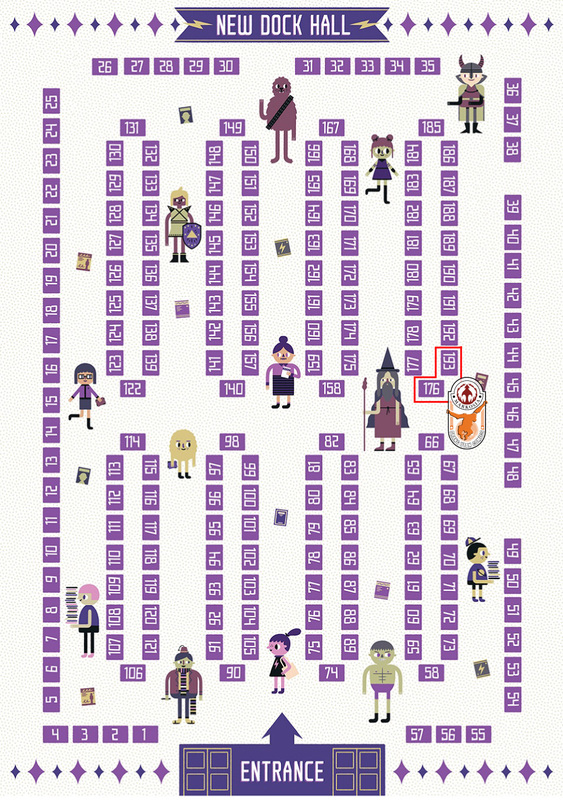 The floorplan for the Royal Armouries is here and the Thought Bubble Marquee is here. Come along and say hello! We’ll have new editions of Hero: 9 to 5 and Hero: 9 to 5 – Quietus on sale and the new paperback editions of Alpha Gods: Betrayal and The Intergalactic Adventures of Zakk Ridley too. Plus we’ll be selling CD sets of the complete first series of The Adventures of Ray Gunn & Starburst! Check out Ray Gunn and Starburst on Kickstarter! Hey, guys, check out this awesome Kickstarter project from the guys behind Orang Utan Comics. Written by Holly Rose (Shrapnel: Case Files) and executive produced by OUC co-founder Ian Sharman, and also featuring Ian Sharman (Alpha Gods, Hero: 9 to 5, Hypergirl, Spacescape) and David Wynne (Hypergirl, Spacescape) in the cast, Ray Gunn and Starburst is a six part audio sci-fi/comedy sending up the tropes of classic and pulp science-fiction. Please take a moment to check out the Kickstarter and, if you like the look of it, pledge generously!